We Won’t Get Paid More Than You. While lawyers often get paid attorney fees that exceed the injured person’s net recovery, we won’t allow a client to receive less than we get paid. Super Lawyers® 2015, 2016, and 2017 - The list of Super Lawyers® is comprised of the top 5% of attorneys in the state, based on significant results, peer reviews, experience, and more. 10.0 Avvo Rating Avvo ratings use a mathematical, objective model that factors in an attorney’s experience, professionalism, results, and more. The highest possible rating is a 10.0. Avvo Clients’ Choice 2015 This award signifies that a lawyer is the top advocate in their legal field. In 2015, Eliot was voted the Top Personal Injury Attorney by clients. Lead Counsel Rated Since 1997, Lead Counsel Rating has been the mark of an objective, favorable assessment of lawyers based on their experience, peer endorsements, and professional record. BBB Accredited Business Seal shows that the Better Business Bureau has determined that the law firm meets its high standards for accreditation, including a good faith effort to resolve any client complaints. 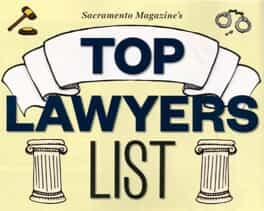 Sacramento Magazine acknowledged Eliot Reiner as a Top Lawyer in Sacramento for 2018. Yelp awarded this badge to Eliot Reiner, APLC for getting a 4.91 rating of 5 and 23 reviews. 28+ Years’ Experience. Millions of Dollars Recovered. Have you or a loved one been in an accident that was caused by somebody else’s negligence? Then you need to work with a Sacramento personal injury lawyer who gets results. At Eliot Reiner APLC our legal advocate is a former insurance defense lawyer, equipped with the insights to ensure you win the compensation to which you are truly entitled. Our relentless, dedicated approach has secured millions of dollars for our clients. Unfortunately, many law firms may take advantage of your injuries, leveraging your claim to end up walking away with more money than you do. At Eliot Reiner APLC, our injury Lawyer in Sacramento never gets paid more than our clients recover in compensation. We will also never charge you more than you can afford. We are devoted to your fair and full financial recovery, and we have the reviews and results to prove it. Please don’t hesitate to learn how our zealous, aggressive advocacy can help you move forward after a serious, preventable accident. Contact our personal injury lawyer in Sacramento to understand your legal rights and discover what your options are. Call (916) 778-3228 Today to Schedule a Free, No-Obligation Consultation with a Top Personal Injury Lawyer! Eliot Reiner's impressive case results are not the only thing that makes him such a prestigious member of the community. His attention to detail and his passion for helping people in need has paved the way for him to be a trusted legal ally and advocate. Give us a call and we will help!